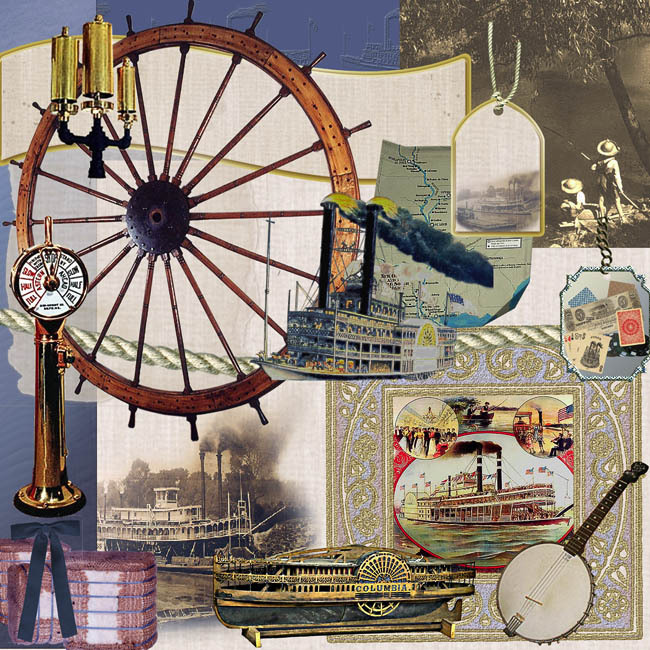 Digital scrapbook kits allow you to use elements of the steamboat era to build pages for heritage family scrapbooks. This work of art is by Marcia Loudon. Find out more about her digital scrapbook kits. See more about Marcia Loudon: click here.